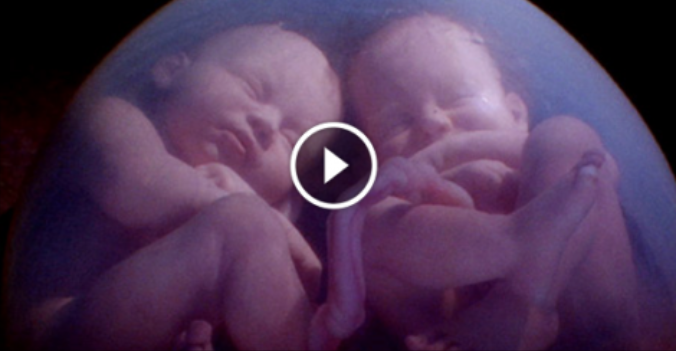 Home / health / Other / Relationship / TWIN LOVELY BABIES CAUGHT ON MRI SCAN FIGHTING IN THEIR LOVING MOTHER’S WOMB! AMAZING VIDEO!! TWIN LOVELY BABIES CAUGHT ON MRI SCAN FIGHTING IN THEIR LOVING MOTHER’S WOMB! AMAZING VIDEO!! These images were taken from an MRI scan, or magnetic resonance imaging. The details that can be seen are incredible, especially the way these two little people are moving around trying to get comfortable. downright frustrated, and kicks repeatedly at the other baby. The way the baby on the left moves its head and jaw, (watch closely at 100) for a second, it very sweetly looks like it kisses the other baby on top of the head. This scan was done as part of a medical study in London, and the pictures were taken while the researchers, and Dr. Marisa Taylor-Clarke, were studying a rare medical condition that affects twins. We are grateful they shared this, it is a lot like seeing into a mysterious world we used to know so little about. These little babies are a beautiful sight to behold, and we’ve had the privilege of seeing what love looks like growing beneath their mother’s heart.